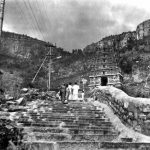 The entrance of temple stands a mountain cave in one of the steep and vertical faces of Tirumala hills. 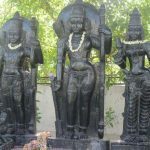 The main idol of a temple is believed and installed by Kapila Muni. So that here Lord Shiva worshipped as Kapileswara. A huge stone statue of Nandi is located at the entrance of a temple. 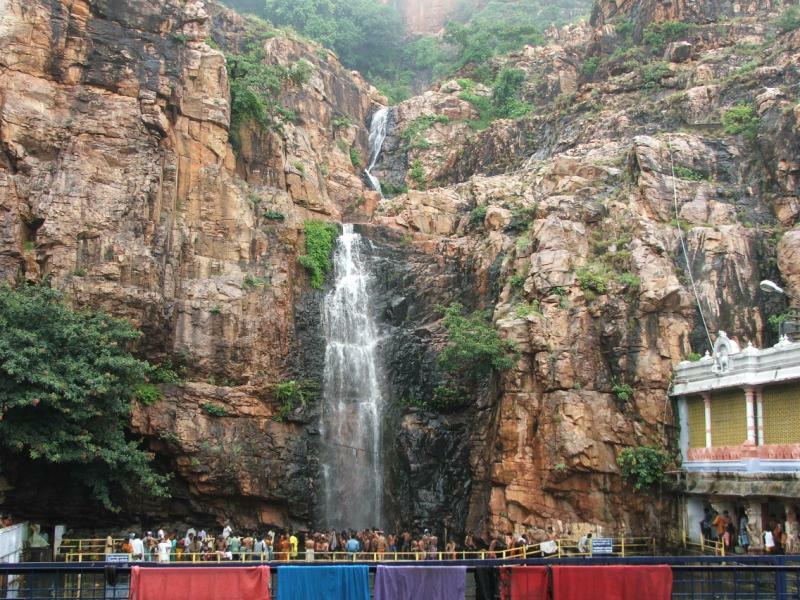 Kapila Theertham is on the midway from Tirupati. The daily number of devotees visits this temple for Lord Shiva darshan. 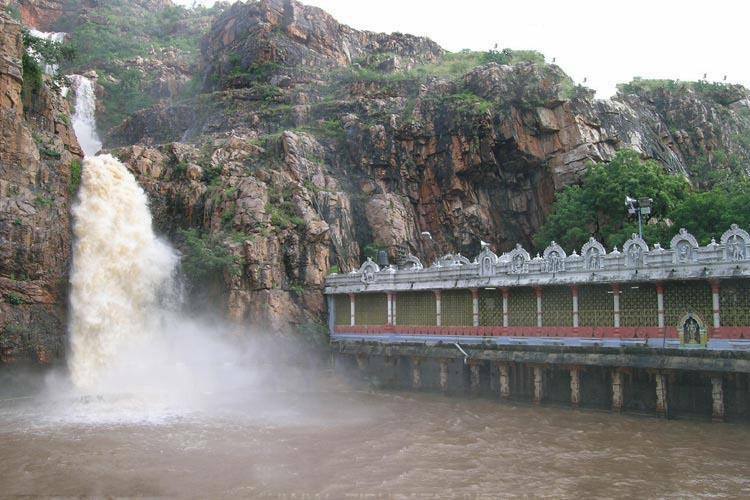 Kapila theertham temple comprises of seven lakes called as Seshachalam. 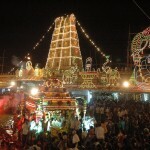 In this Kapila Theertham temple, there are many sub-strains presents. Substrains temples like Vinayaka, Parvati (Kamakshi), Subramanya Swamy, Rukmini Satyabhama Sametha Sri Krishna, Agasthesswara and few among them. 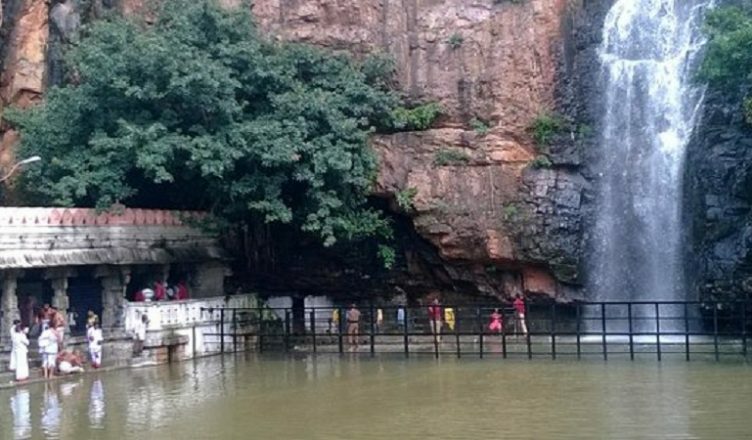 According to legends Kapil Muni had performed powerful penance to Lord Shiva at this place and then Siva and Parvati presented themselves. The Shiva lingam is believed to be self-manifested. 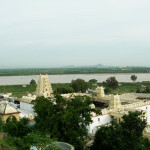 Kapil Muni is believed from Bilam in Pushkarini on earth. 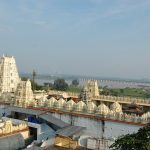 Karthika Deepam, Skanda Sasti, Float Festival, Arudra Darsanam Utsavam, Mahashivarati are the main festivals that celebrated at Kapileswara Swamy temple. The temple maintainers provide the Anna Prasadam from 5 AM to 03:30 PM and 5 PM to 10:30 PM. Free and unlimited tasty food is offered to all pilgrims. This Anna Prasadam center is present at Sri Hygreevar Swamy temple (Thiru Mada Street). There are the different guest houses available near a temple. The number of lodges and choultries are available for accommodation with all necessary facilities at reasonable cost. 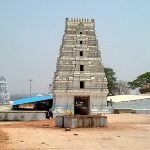 Sri Kapileswara Swamy temple, Kapila Theertham, Near Alipiri, Tirupati, Chittoor district, Andhra Pradesh 517507.